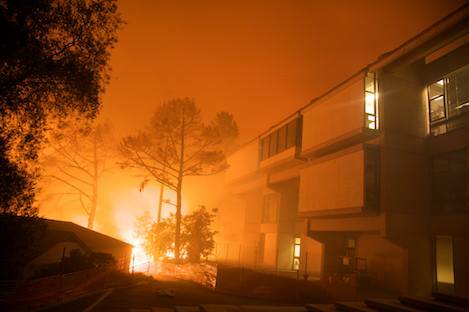 I am deeply saddened and devastated that my beloved Alma Mater is on fire.. In the picture you will see a few out buildings, as well as the library (pictured above). That's terrible. I hope everyone is safe? I'm sorry to hear about what happened. I hope no one was hurt.